As per this study the Global Carbon Fiber Bike Market was valued USD 2.2 BN (by revenue) in 2018 and is anticipated to reach USD 3.6 BN by 2025 with a CAGR of 7%. Carbon fibers are categorized under strong fibers and come in a variety of grades based on overall strength and stiffness. The higher the modulus, the stiffer and lighter the material is. They are mainly used in high-end racing bikes mainly in the frame, wheelset, and fork. Carbon fiber composite is light-weight, corrosion-resistant and strong, and can be formed into almost any desired shape. Carbon fiber is now the ideal choice of material for high-performance bicycles and gaining huge demand among athletes as they are lightweight and enhance the performance fast. In the recent year's demand for high-end bicycles has increased at a significant pace, as a result, many manufacturers are putting their efforts towards catering the market which is expected to fuel the industry expansion. The growing bicycle manufacturing industry and bicycle components are also expected to support market growth. 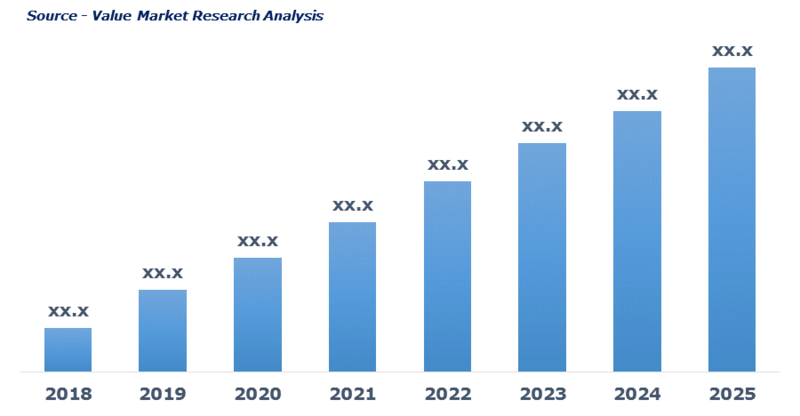 Increasing popularity and affordability of this high-end bicycle coupled with the increasing interest of people towards leisure and sporting activity will further augment the market growth. This detailed market study is centered on the data obtained from multiple sources and is analyzed using numerous tools including porter’s five forces analysis, market attractiveness analysis and value chain analysis. These tools are employed to gain insights of the potential value of the market facilitating the business strategists with the latest growth opportunities. Additionally, these tools also provide a detailed analysis of each application/product segment in the global market of carbon fiber bike. The broad carbon fiber bike market has been sub-grouped into product and application. The report studies these subsets with respect to the geographical segmentation. The strategists can gain a detailed insight and devise appropriate strategies to target specific market. This detail will lead to a focused approach leading to identification of better opportunities. Furthermore, the report comprises of the geographical segmentation which mainly focuses on current and forecast demand for carbon fiber bike in North America, Europe, Asia Pacific, Latin America, and Middle East & Africa. The report further focuses on demand for individual application segments in all the regions. The report also covers detailed competitive landscape including company profiles of key players operating in the global market. The key players in the carbon fiber bike market include Battle FSD, COLNAGO, CUBE, Giant Bicycles, Kestrel Bicycles, LOOK, MARMOT, MERIDA, SwiftCarbon, Trek Bicycle Corporation, and others. An in-depth view of the competitive outlook includes future capacities, key mergers & acquisitions, financial overview, partnerships, collaborations, new product launches, new product developments and other developments with information in terms of H.Q.